Add your custom logo to these calendars and advertise all year long! Twelve months are displayed on one page for easy scheduling. This easy-to-read calendar has a burgundy grid with dates printed in black and burgundy. Oversized numbers combined with the dramatic color combinations provide high visibility. 12-month calendar clearly identifies moon phases, US and Canadian holidays and other special remembrances. 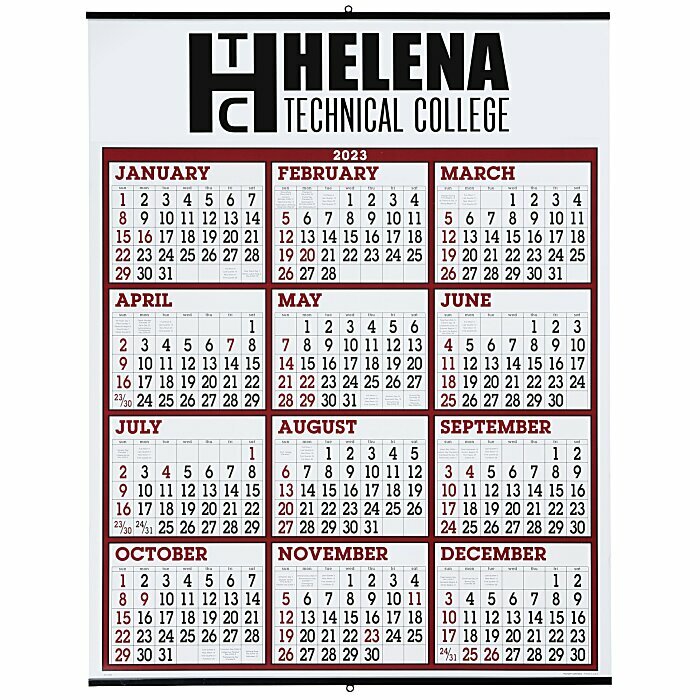 This calendar is made of 80# paper stock with a black metal bottom and top with a loop for easy hanging. Your price includes a black imprint above the calendar.